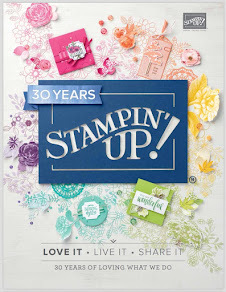 Just Believe is one of the new additions to Stampin's Up!s latest Idea Book & Catalogue. It's a fabulous set. You can find it on page 57 and is priced at £32.95 for wood mount or £25.95 for clear mount. 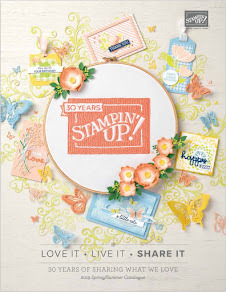 The colours used are Pear Pizzazz, Peach Parfait and Marina Mist.